Selfie Stick with Remote Shutter Control Only $5.99 Plus FREE Shipping! You are here: Home / Great Deals / Selfie Stick with Remote Shutter Control Only $5.99 Plus FREE Shipping! You know you need some distance between you and the camera to get your best possible pic! 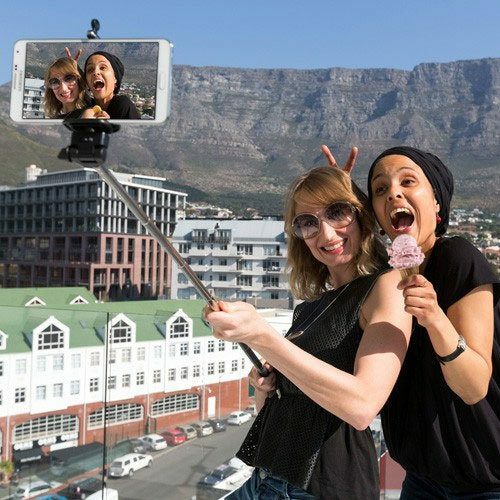 Taking self portraits has never been easier with the selfie stick! It can extend up to 40 inches to give you a wide view and get everything into frame. Get the Selfie Stick with Remote Shutter Control Only $5.99 Plus FREE Shipping!